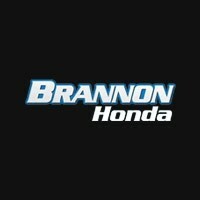 Brannon Honda is your dealership for special deals, offers, discounts, and incentives on automotive service, inspections, parts & accessories installation on tires and rotation, brakes, brake pads, car rentals, batteries, etc. We roll out the red carpet for our service customers. Top notch technicians, and great customer service every appointment. We want to help our customers get the most of their cars, whether it’s a Honda or any other make. So please call to schedule car service and stop by and see us, we also have a detail department if you need your car to sparkle like the day it came out of the factory. Our Honda dealership specializes in Factory-Certified Honda Parts. Don’t trust your Honda with parts that may not have been designed for your vehicle? When you purchase parts from our Honda dealership, you can rest assured that you are getting the highest quality parts from experts that know your vehicle.